Bestselling and award-winning author Irene Hannon captures readers with a mind-bending story that will have them doubling back to retrace their steps–and figure out what they missed! The mystery/suspense. Hannon always sets up a lovely mystery (not quite a mystery since you know who the bad guy is). Right away you’re immersed into a who-done-it situation/ how-did-they-do-it situation. The way the characters work out what’s happening is always realistic and on point. Kudos to Hannon for not creating dumbed down characters. Her setups are complex and fascinating. Also, even though you know who the bad guy is, there are still a lot of little mysteries that, when solved, are a bit shocking. Well-written. I found this novel to be typical Hannon–very well written. I only planned to read some of the book when I first opened it, but read far more. It’s an easy read. Spiritually, the characters believe in God and pray. I think I just have to accept that Hannon writes the same heroine and hero in each novel. Her mysteries are all different, but the people solving them are all the same…in spite of the fact that they usually have different back stories. It’s so bad, that my mom (who loves Hannon) and I spent ten minutes on Amazon trying to figure out if we had met these characters already. 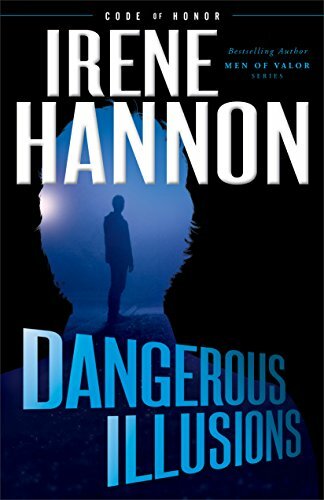 Overall a very solid and dependable Irene Hannon novel. You won’t be disappointed. Relatable heroines. Joubert always manages to write wonderful heroines. They are strong and smart and from the first page you will find yourself invested in their story. Lettie is no different. Having read other books by the author I had come across Lettie before and it was nice to be in her head. She has real insecurities that are completely relatable and yet she works so hard to be successful. She is kind and smart and thoughtful and easy to root for. History. This book takes place during WW2 (and just after) in Europe and in South Africa. While I have some familiarity with Europe during WW2, I don’t have as much with South Africa. Knowing so little about South Africa, I found everything about it fascinating. Secondary characters. It’s probably because I’ve read other books with these characters, but I found myself so curious about everyone and the different relationships between them. I rejoiced when they rejoiced and cried when they cried. Romance. Joubert writes romances that heartfelt and deep and have such a way of sneaking up on you. Spiritually, I will admit the characters have a tendency to come off as religious, but they do pray and attend church. Pacing. The pacing in this book felt a bit off. It was slow when I thought it should have been fast and fast when I wanted to tell it to slow down. This book scanned decades. I had no problem with that I just was so confused by some of the decades she chose to focus on and the ones she chose to speed through. Overall, while this wasn’t my favorite book by Joubert (that would be The Girl From the Train), I was glad to read it and will continue to read anything she writes (that’s translated to English!). The topic. I loved, loved, loved the idea of a steamy romance novelist getting saved and falling for a pastor and kind of dealing with the fallout of that. 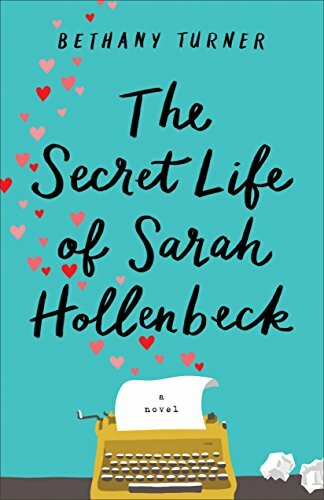 I thought the author did a lovely job of raising all the issues and problems that a situation like that would bring because the issues Sarah faced felt real. I like that the author doesn’t shy away from sexual temptation and what that looks like. She also provides some practical ways a believer can address those kinds of concerns. She faces tough topics straight on without brushing past them and it really made this novel standout. Dating. Okay, this book suffers from one of my least favorite tropes: insta-love. And when I say insta-love, they were bringing up the “L” word on the first date. That said, I love the way the author walked them through their courtship. I love that they set up rules to follow and that one of those rules was to be completely honest with each other. Both Sarah and her guy really worked to make their relationship a success and to have a relationship built on a solid foundation. Spiritually, you see Sarah get saved and how being saved isn’t always the easiest thing…especially if you have to disconnect from your former life. We certainly see Sarah learn how to navigate this new facet of her life throughout the tale. Telling. There was just so much telling in this book. 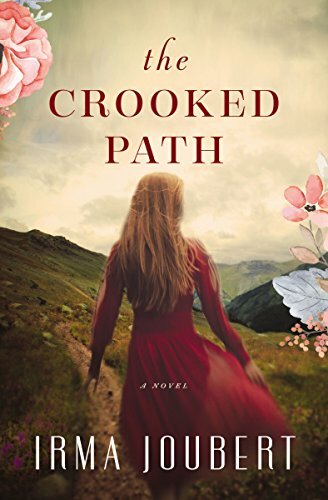 Because this book is first person narrative (and I don’t mind that) a lot of Sarah’s past is revealed through her own personal summary which she tells the reader. Then Sarah has a friend that she uses as a sounding board throughout the entire novel (we learn almost next to nothing about the girl) where they literally just meet only to talk about Sarah. Then we are told that Sarah falls instantly in love with her guy and him with her, so we don’t get to see that develop as a reader. Then her and her guy spend a lot of time talking and rarely doing stuff that shows us things about their character. With all the telling, I found myself not as invested in the characters and as this is not a plot driven novel, it would have benefited from stronger character development. As a reader, I didn’t know the characters past what they told me about themselves and thus, I found myself skimming a lot. *Personal pet peeve. This doesn’t affect the rating of the book, but and this may be spoilery, a pastor and his wife are both called to ministry, in my opinion. I have no problem with a pastor’s wife having a colorful past when unsaved, I do have a problem with a pastor’s wife only being saved a few months before becoming a pastor’s wife. It just seemed like she needed to be a stronger, more tested believer and no one seemed to bring that up. But again, that’s just me. Overall, kudos to the author for tackling this subject matter! I’m very interested to see what she does next.